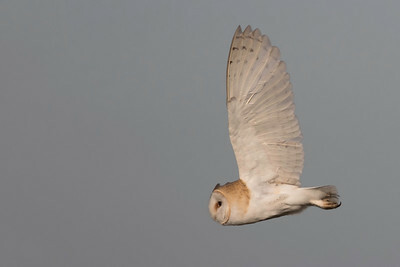 There are few sights in the natural world that can rival watching a Barn Owl hunting silently and ghost like at Dusk. 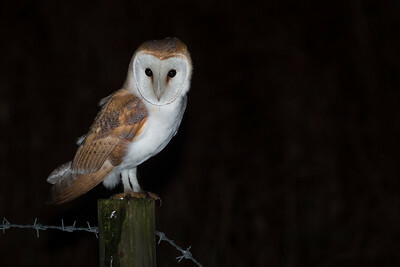 Despite facing various environmental issues that include the loss of habitat, and changes in farming practice. 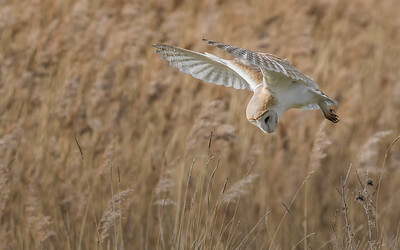 It would not be uncommon to see either barn or wintering short eared owls hunting along the various ditches and scrub of Kent marshland. 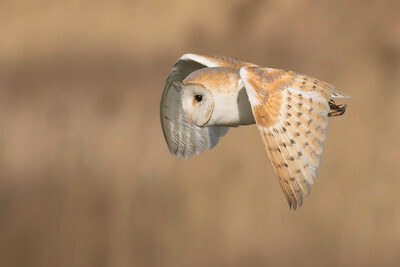 Whilst the short eared owl is relatively hardy, the barn owl is incredibly vulnerable. 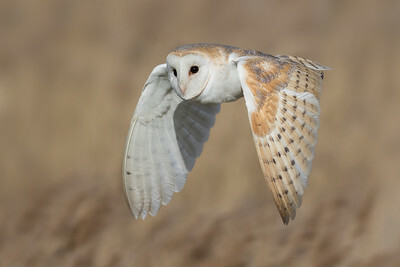 It struggles to hunt in wet and windy conditions, and if forced to hunt during the day through hunger. 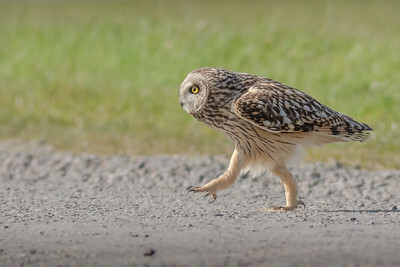 It will frequently be robbed of its quarry by other predatory birds like kestrels. We must do our utmost to protect them. 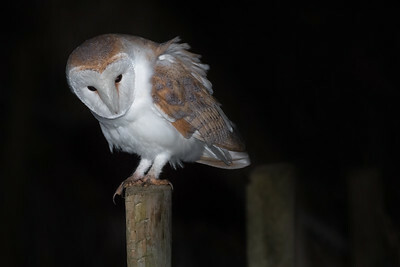 The Barn Owl is a schedule 1 protected bird under the wildlife and countryside act 1981. For this reason the exact location of sites will not be disclosed. 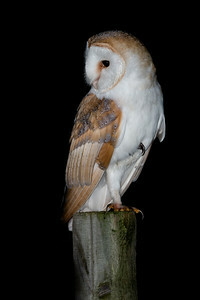 A fantastic encounter with this Barn owl. 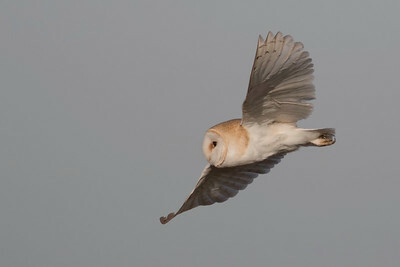 I watched it through my binoculars in the distance being mobbed by gulls. 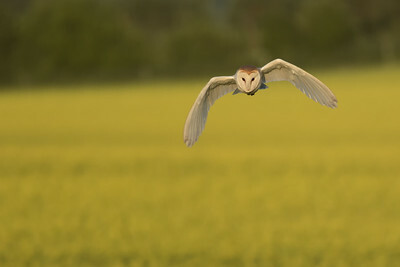 This was fortunate for me as the gulls forced the owl to fly off course diverting to fly directly in front of where I was positioned. It's moments like this that make it all worthwhile. 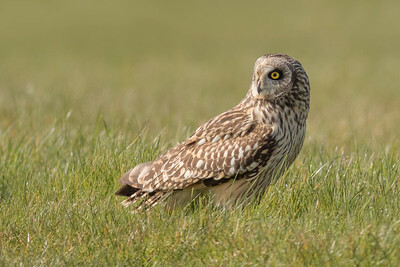 This Short Eared Owl started to become increasingly visible during the day as it fed itself up in preparation for it migratory journey. 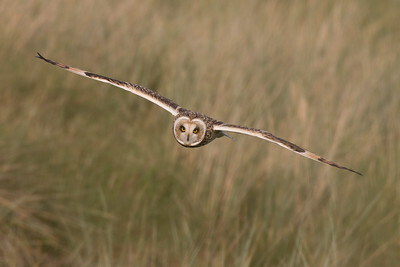 Short eared owl in flight. 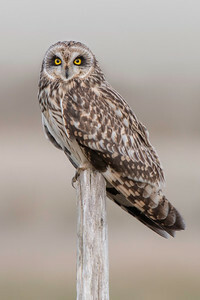 Short eared owl on post portrait. 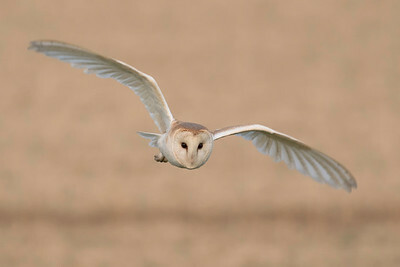 A fantastic encounter with this Barn owl. 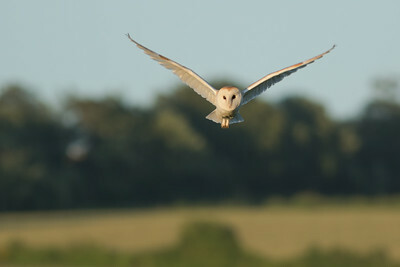 I watched it through my binoculars at a distance being mobbed by gulls. 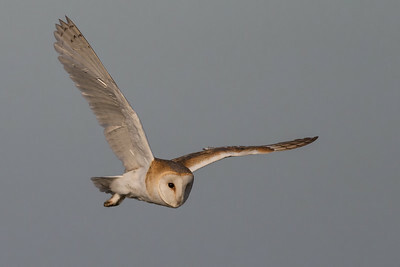 This was fortunate for me as the gulls forced the owl to fly off course diverting to fly directly in front of where I was positioned. It's moments like this that make it all worthwhile. 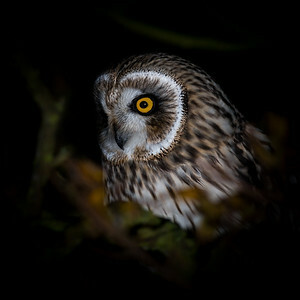 Short Eared owl at night portrait. At first I thought there was some rubbish caught in the scrub, but something unsettled my eye and made me want to take a closer look. 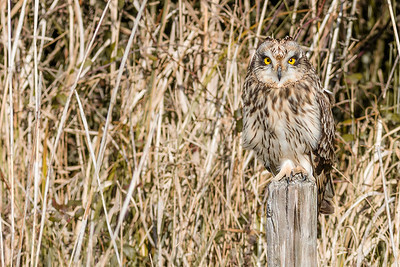 It was not until I had got much closer that I was able to take this shot showing a short eared owl demonstrating its perfect ability to blend in to its surroundings. 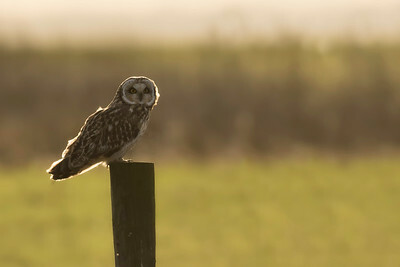 A backlit Short eared owl having just left the roost it sat briefly on this post before flying off out over the marsh. 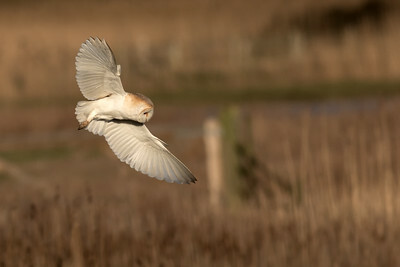 Barn Owl hunting at Oare marshes in Kent. 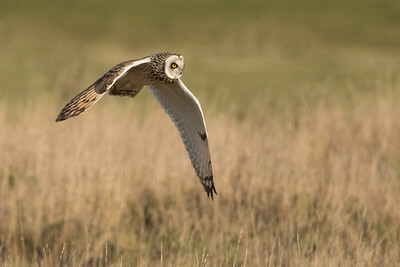 Short eared owl hunting over Elmley marshes on the Isle of Sheppey. 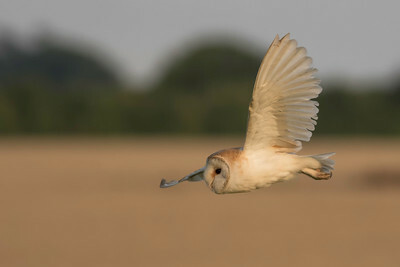 Barn owl hunting in the evening light.